Picking the right paper is just as important - and more fun! - than picking the right gift. 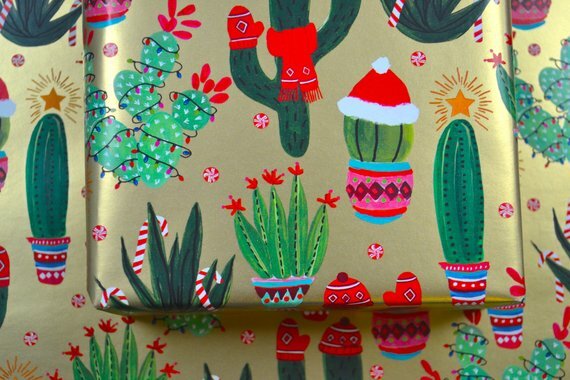 Enjoy these 7 stylish holiday wrapping papers, and tape up the perfect gift this year. Plaid is the gift that keeps on giving - it never goes out of style! Bit Plaid gift wrap by Norman’s Printery. Steal your dog lover’s heart with this posh pooch Beagle gift wrap by Ren & Thread. A retro, hand-drawn take on a happy Christmas feline from Purpose & Worth, Etc. Photo by Purpose & Worth Etc. Just put a scarf on it. And they did! These cacti are getting cozy on metallic gold. A definite winner from Wrap & Revel. 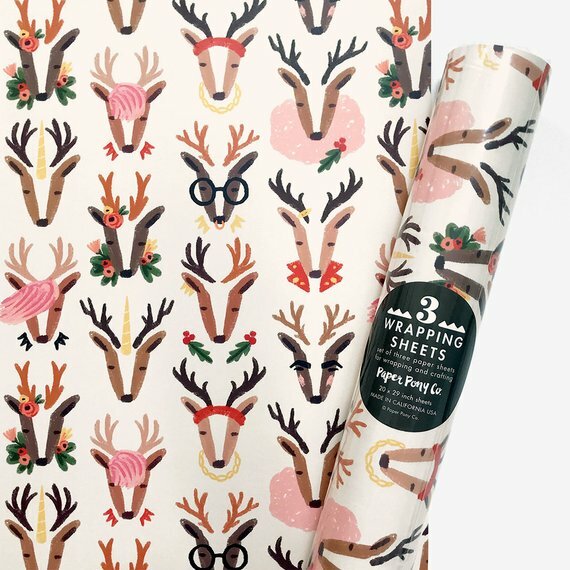 We’re crazy about the colorful take on this Hannukah wrapping paper from Love & Lion. Photo by Love & Lion. A retro fabulous POP of color and print! Bash Party Goods gets our super seal of approval for this one-of-a-kind paper. Photo by Bash Party Goods. If reindeer could be part of the Beyonce Beehive…. Every single one of our girlfriends will be getting this one. From The Paper Pony Co.